Six minutes of injury time and two more of the VAR. A heart-stopping ending, Roma could not unlock the Cagliari defense, a penalty badly wasted by Perotti after the VAR intervention. Then, so much effort but Roma could not create decent chances, a sterile maneuvering, so much confusion, a game plan that did not work. When it seemed too late here it came, the last gasp of Commander Fazio in full injury time. So muhj joy that quickly disappeared with another VAR intervention. The referee stops the stadium’s enthusiasm. Suspense, like in a movie. “Now they will find a foul, a push, an arm ..” Then the confirmation: goal validated, the stadium jubilant again for the second time, a liberating scream, stuff not really suitable for the faint-hearted.. The danger of another draw dismissed. But Roma did not look good during construction phase, from midfield upwards. Instead, well the defense that does not concede goals, almost never in gtrouble, Cagliari has never even come close to our half. Midfield and attack, not a good display. The Dzeko-Schick pair did not work, Edin is not in shape, Patrik is not ready yet tactically. So much confusion between the twos. If the three points had not arrived there would be an open trial and a lot of criticism for yet another draw and the team that does not perform as good as up until recently. But the three points have arrived, thank goodness, no controversy then, now we need to stay cool and be patient, continue to support this group that is doing very well. Now head to Torino in the Italian Cup. We must win to go though, winning the Italian Cup must be a real objective. Then we will think about Juventus..Daje and Forza Roma! Power of heavy pressing, compact and crush. Roma is a war machine, all fighters at the service for one common goal. All equal. One worth one. The players might change but not the result: yesterday El Shaarawy, today Gerson. It is not so much about the the type of formation, but the work of EDF on the head of the players. All working for a common cause, ready to run, ready to sweat and get the results. Contrary to his predecessor, Eusebio has brought these values ​​into the team and made all the players feel equally important. El Sharaawy was not just thrown onto the pitch to save the shack when things did not work. Gerson this time has not been sent into an unknown ground, they believed and waited until he was ready phisically and mentally to deliver. But not just these two players. Let’s take Diego Perotti, another emblem of this cultural revolution labelled EDF. Sublime technique, one of the few to go past players like skittles, when he finds the goal he becomes a phenomenal player. 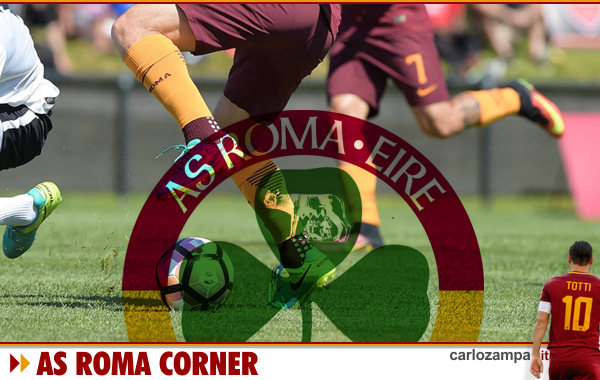 Roma beat Fiorentina because it has never give up, despite Fiorentina creating some problems in some stretches of the match, we have always felt that this team would bring the three points home in some ways. And so it was. After the home defeat agaist Napoli something happened. The team got up and started to believe again. This is another big maturity test. Meanwhile, we gnawed two points right at Napoli and Inter. The championship is long, and will see in January what’s on the table. The important thing is to stay right behind the train. Now it’s International duties break, then we will re-start with fireworks: the Derby della Capitale. To crash Lazio we need this team, exactly as it is now. ALL UNITED TO REACH OUR GOAL. DAJE ROMA! Roma buried minnow Benevento without much effort. A predictable storyline, given the fact Napoli put 6 past them only 3 days ago. From the wings came most of the chances for Dzeko who easily put the ball in the back of the net, also with some help from the opposition. Benevento literally means “good wind”. Barely a football club that can survive at this kind of level. In four matches they scored one goal while conceding 14, two of which they scored themselves tonight. The good outcome is to bag andother 3 points and build that confidence to keep chase the pack. Nothing much to say about the match, ordinary stuff. No much effort from a Roma side who featured from the satrt Gonalons, Pellegrini, Cengiz and gave some more minutes to Florenzi. What is more worrying from Serie A match 4 is that Napoli continues to score goals and win games emphatically. On-form Lazio the latest victim on their own ground. Juve beat Fiorentina narrowly and Milan still don’t convince fully, but still grabbing 3 points. Inter are struggling on the pitch, they don’t convince but they are there, until one day the luck might run out. Roma must believe they can compete. Once the squad will be at full potential with Schick and Karsdorp then we will see the potentials. In the meantime, let’s grab points, it’s our chance to capitalise, but they at home against Udinese first then away to Qarabag in the Champions League. October will a tough month with tough fixtures. Be ready for that. So that’s it for now, always Forza Roma!